I’m a huge fan of bitters and have made a few successful attempts at making my own in the past. However, the one problem that I always come across is filtering the final product to get out all the sediment. For my attempts I’ve used coffee filters with mediocre success. They get out the big pieces but they’re slow as all hell and the real fine stuff still makes it through. I’ve read that vacuum filtration using a Buchner funnel works great, but the cost of entry is a bit steep for something I’d only use for bitters making. John Park over at Make: Online may have just solved that problem for me. He has been filtering his bitters through an aeropress coffee maker with what look like great results. I’m interested to find out if John was able to get rid of the superfine particulate matter; from the looks of things he got most of it. Traveling to a new city can always be a bit daunting. Unfamiliar streets, unfamiliar restaurants, unfamiliar landmarks and, possibly the worst, no knowledge of where to go for a good cocktail to calm your nerves. Cocktail Town takes the guess work out of that problem and shows you around the cocktail hotspots. This is the travel guidebook booze hounds have been looking for. The project isn’t all about books, though. It’s actually a combination of a website and a series of coffee table style books. The first book in the series covers the cocktail scene in San Francisco. Starting first with a look at the local distilleries (Distillery 209 and St. George) and followed by a look at classic ingredient producer Small Hand Foods. 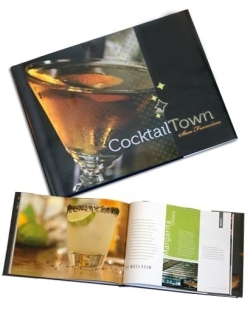 Then the book gets into the meat of the topic, the cocktail hotspots of the area. Each spot has an overview of the atmosphere and the feel of the cocktail menu (i.e. classic cocktails, twists on favorites, etc). 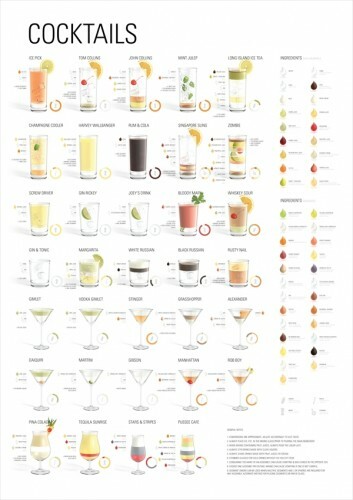 In addition, Cocktail Town includes a signature recipe from each spot. The photography and recipes alone were enough to keep me flipping through this book. 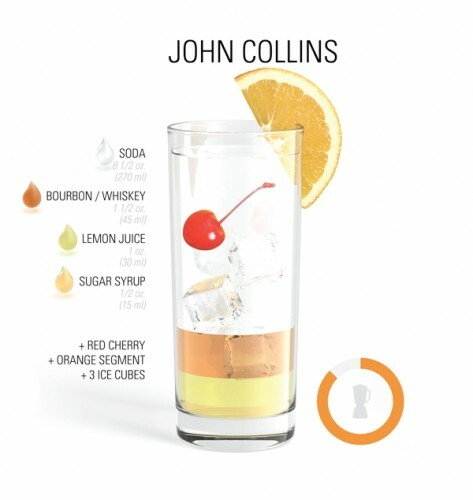 The photos are stunning and the recipes highlight the creativity of the bartender’s craft. If you’re looking for an introduction to the cocktail hotspots in the San Francisco area and some great recipes, Cocktail Town is well worth a look. The web site includes the same info as the book and supplements the recipes with how-to videos, so that’s where I’d start. It should come as no surprise to long time readers of this blog that I love Manhattans. They’re one of my go to cocktails when I’m looking for something straight forward but delicious. They’re one of the classics that I’ll actually order at a restaurant (and I’m usually not disappointed). And, finally, they’re just damn tasty! In addition, I love me some Scotch. I may not be Ron Burgundy, but I definitely enjoy a good dram. So, it’s really amazing to me that I haven’t mixed up the Rob Roy yet. Shall we correct this error?